.Material width: 15mm for optimal comfort and convenience. Pre-Printed with CONTRACTOR in large type font, combined with a solid green material and white letteringmaking them easily visible from a distance. 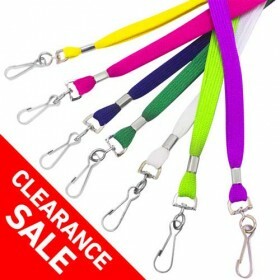 With a premium trigger swivel clip these lanyards are made from high quality material and designed to last during day to day use. Pre-Printed with CONTRACTOR in large type font, combined with a solid green material and white lettering and they can be easily seen from a distance. With a premium trigger swivel clip, these lanyards are made from high-quality material and designed to last during day to day use. When hiring contractors for construction projects or any other works, it can put you in a potentially vulnerable position as neither yourself or your staff will be familiar with those temporary workers. The use of the contractor lanyards quickly differentiates employees from contractors and verify the authority of those who are permitted to work on your site. 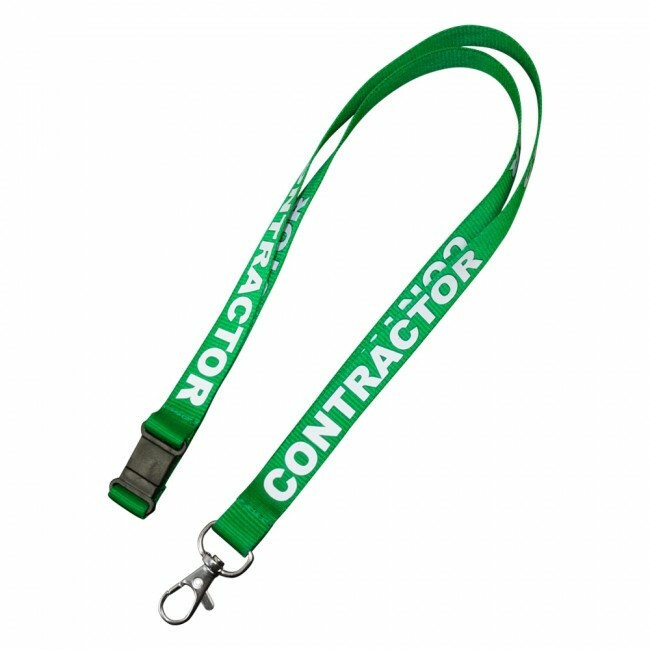 The clear statement made by the lanyards can be considered useful for the permanent staff and contractors alike. After all, contractors may be working with others that they haven’t previously worked alongside. The use of the green lanyards clarifies who they can talk to about the project and who are standard employees that probably won’t have a clue about the issues at hand. Lanyards can be particularly useful for contractors that need to move on and off of the site at various stages throughout the day, which can make the project run far more smoothly and with fewer unnecessary delays due to signing in every single time. Moreover, the durable materials are suited to outside jobs in difficult conditions as well as projects that are to be completed indoors. Here at the Lanyard Factory, the pre-printed lanyards can be ordered with a minimum order size of just 10. Alternatively, we can supply thousands. So, whether your projects require a handful of contractors or you have many dotted around across various jobs, these affordable solutions are ideal. Place your order using the simple form or give our team a call today. Identifying contractors on your sites has never been so easy.